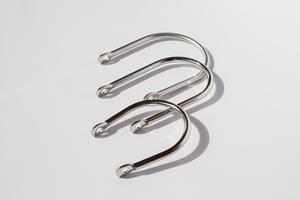 The bow roller bails are made from stainless steel and then polished to shine. Sold Individually. The Bail serve function: to keep the rode/chain inside the bow roller at all times. Size=Bail Width X Bail Overall Length X Anchor Roller Width.